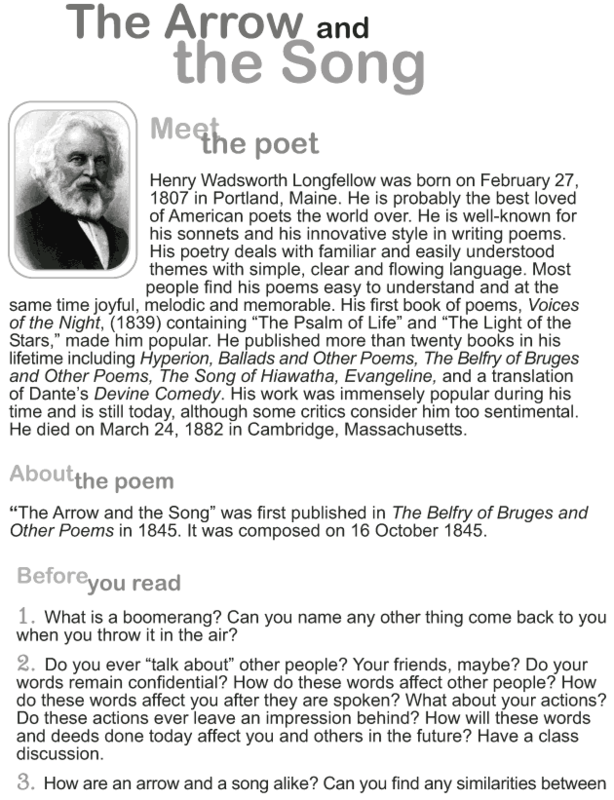 Henry Wardsworth Longfellow wrote, in October 16, 1845, “The Arrow and the Song, which came into my mind as I stood with my back to the fire, and glanced on to the paper with arrow’s speed.” Read this poem and find out what Henry Wardsworth Longfellow wants to say through this poem. This story has no title. It already sounds interesting to me. 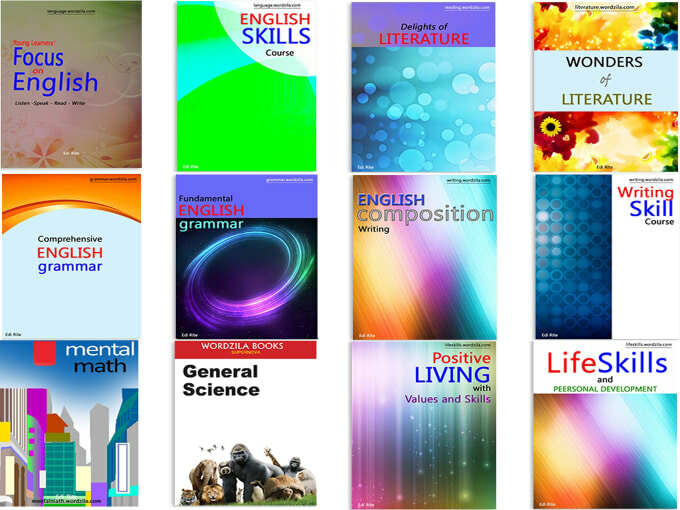 Let us read it and check if the story is interesting too. 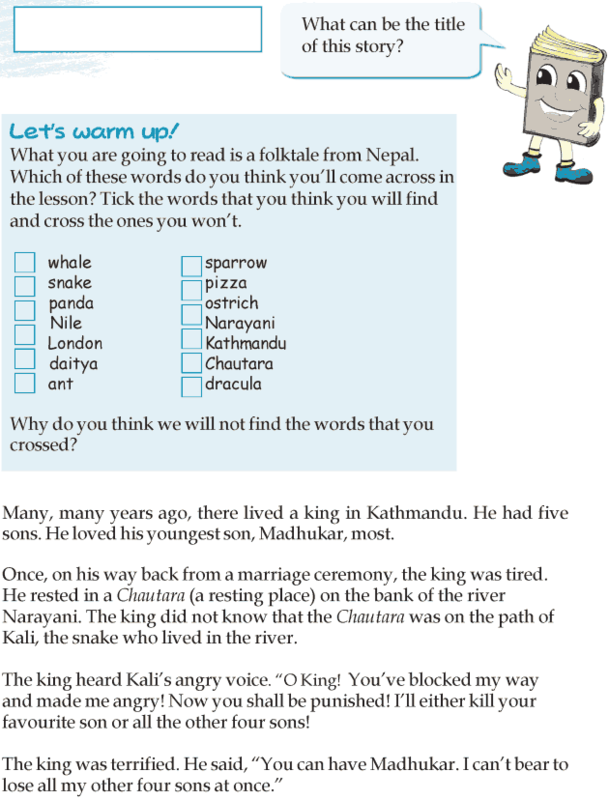 By the way, do you know about Kathmandu? It is the capital of Nepal, and is famous for rivers, mountains and hills. 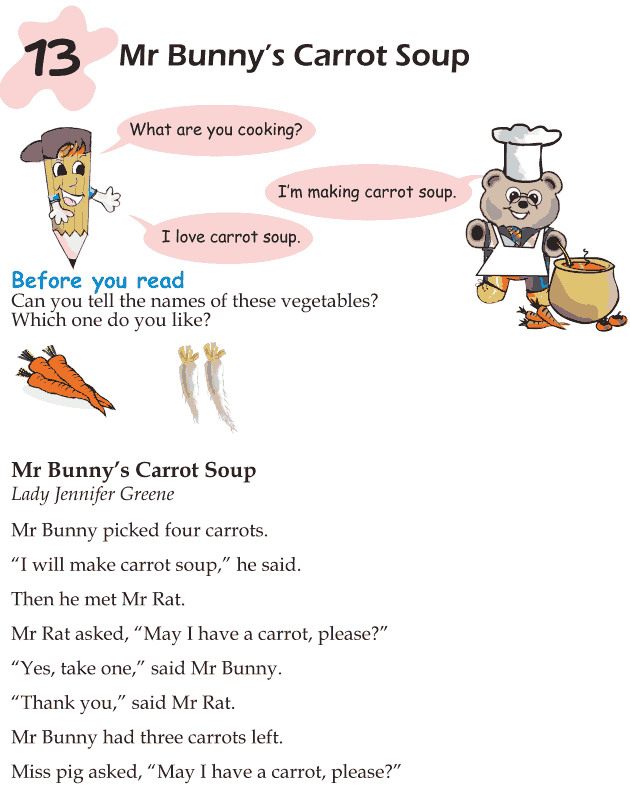 What would you if you suddenly saw a talking rabbit in your garden? Would you follow it? Or would you just believe that you were dreaming and let it be? Let us read this interesting story by Lewis Caroll and find out. I always feel tired after the school is over. At home, I feel better after some snacks and some rest. 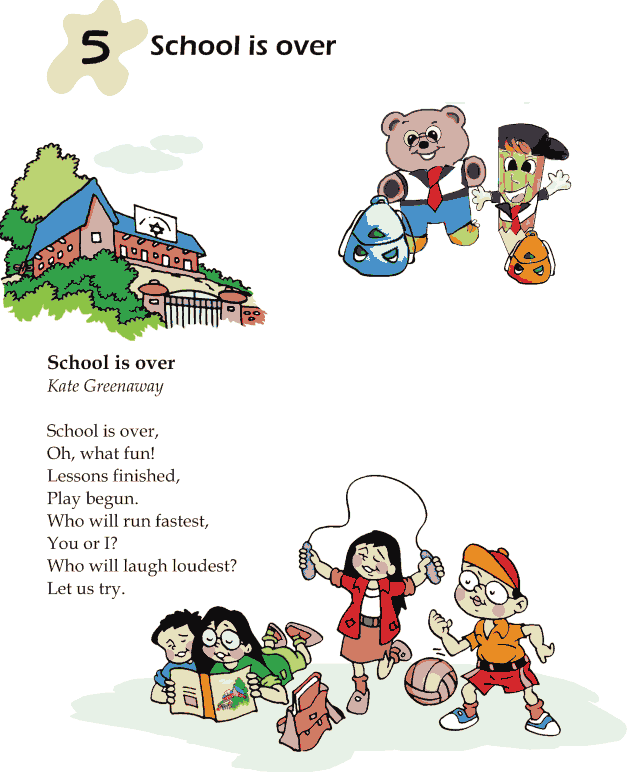 That is why; I always love it when the school is over. 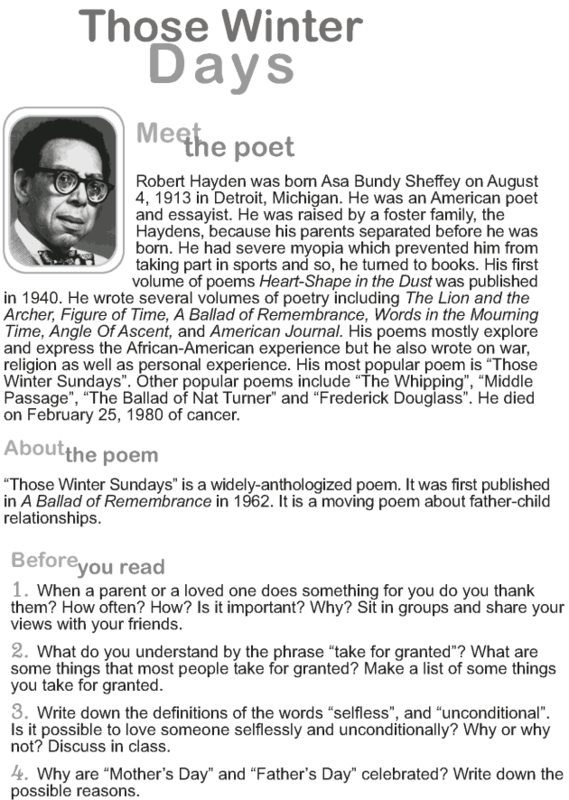 What about the poet? 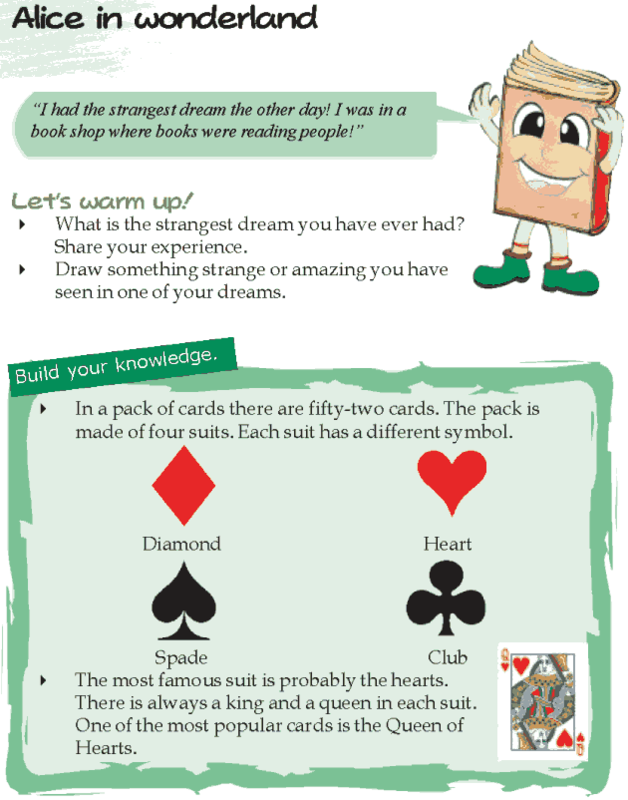 Does Kate Greenaway feel the same? Let us find out. 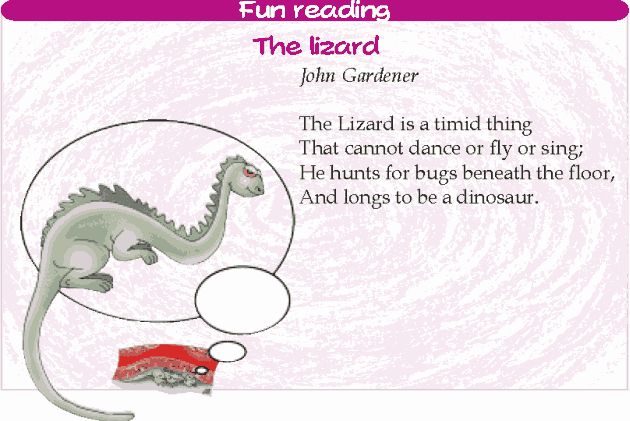 Did you know that the lizard is a timid thing? At least that’s what the poet John Gardner thinks. The following is a very sad story about two friends. One of the friends leaves the other when he is need of great help. Do you also leave your friends when they need help? 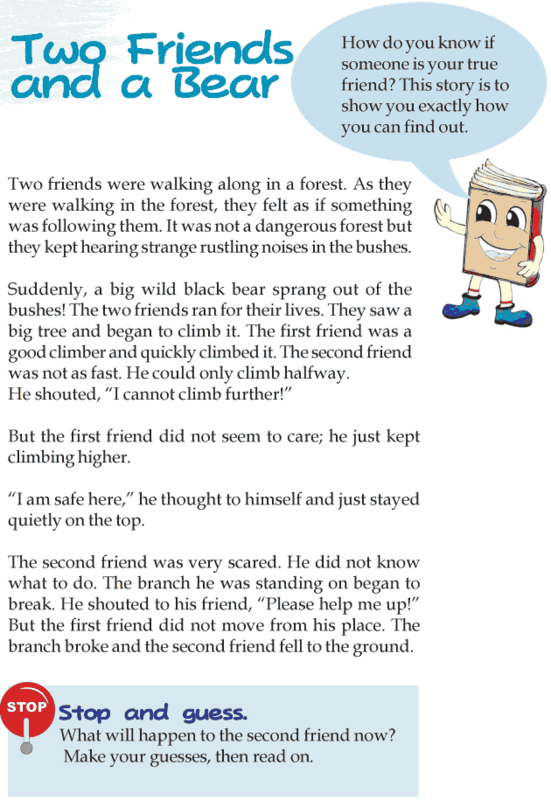 Read this story about the two friends and a bear. There is no accurate picture of Socrates and his philosophical viewpoint. It is because Socrates never wrote his philosophical texts, and whatever we know about him is based entirely on the writings by his students. This is called the Socratic Problem. 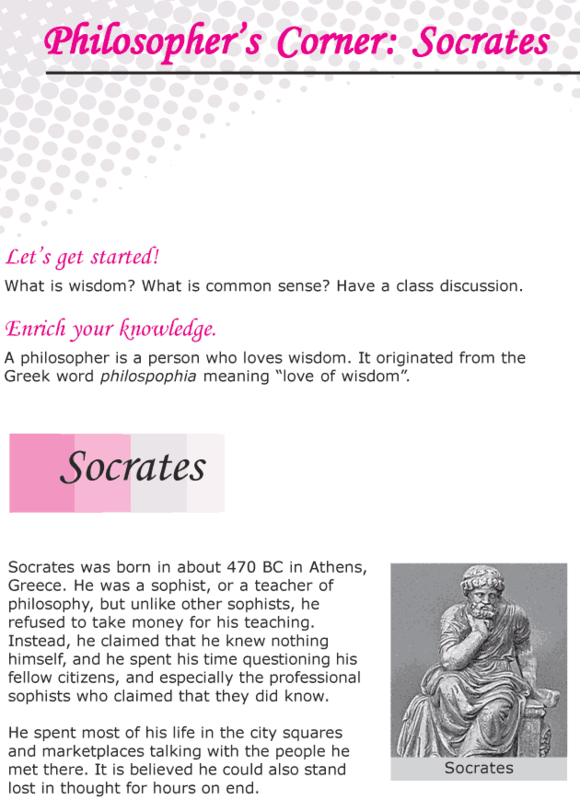 Let us find out how much the students conveyed about Socrates through their writings.